Welcome to the Winter Recreation Program! Cooler temperatures. Snow on the grass. IT’S THE PERFECT TIME FOR INDOOR SOCCER! 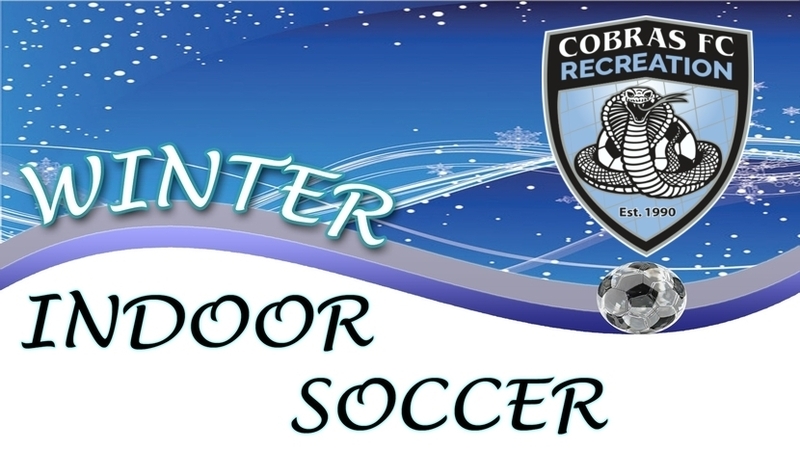 The Cobras FC would like to invite boys and girls (ages 4 to 9) to participate in our Winter Soccer Program, the best value in soccer. We are proud to offer these programs for recreation soccer by age groups for boys and girls this upcoming season! You can’t find a better value or coaches! Winter season dates are below per age. Fantastic Travel/Elite coaches who help deliver a fun experience for your kids! A safe environment for your kids to play and learn the game of soccer. Unbeatable prices for the best value in soccer! Curious about the US Soccer Age Matrix? Click here to see the chart that local youth organizations use to organize their teams.